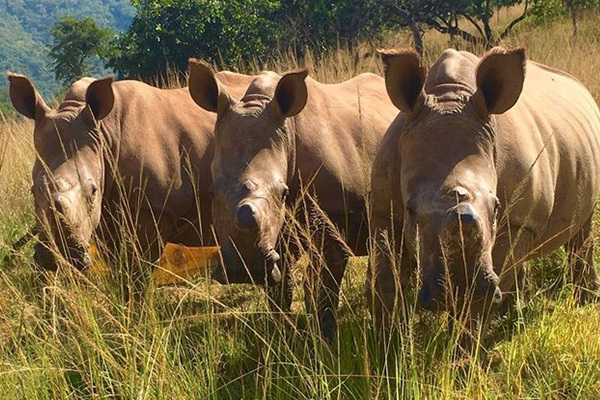 Baby Rhino Lofo at Baby Rhino Rescue | Adopt and Donate Now! 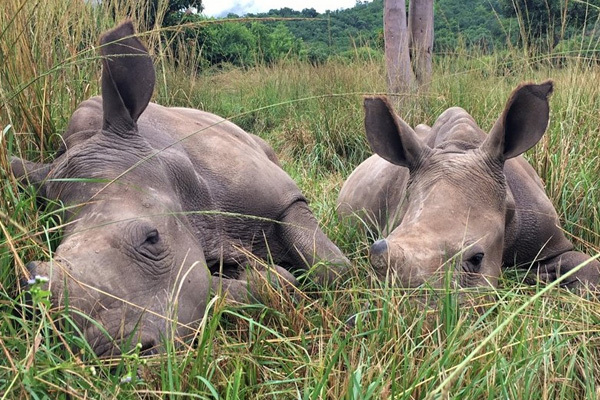 Lofo arrived at Care for Wild Rhino after his mother was brutally killed by poachers. The 8-month-old calf roamed the bush alone for 5 days. He reached the sanctuary in terrible condition with a wound from a piece of wood that had pierced his front leg, and two deep cuts on his back from a machete, as the poachers attempted to break his spine! He was also dehydrated and stressed. He was monitored through the night as his condition stabilized, and that morning he drank milk from the bottle. His wounds were a hand deep, so needed careful treatment and cleaning, and still they did not heal. It took surgery to remove dead bone from his spine. The operation was a major success, and Lofo was quickly back on his feet with his friends Don, Oz and Twinkle! Being social animals, it’s great to see how well the four of them have bonded to form their own small crash. And now Busiso is part of their crash too. Lofo appears to be thoroughly enjoying himself at the sanctuary, and relishes his time out in the fresh green grass! He looks like a happier, healthier rhino every day. He also enjoys his daily mud baths and nap times with his best friend Twinkle. He is vocal and talkative and his difficult days are long gone.